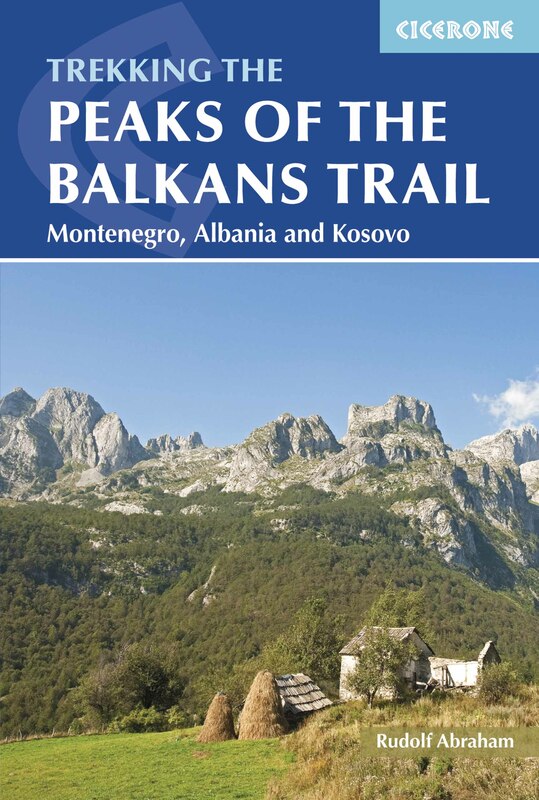 Hiking the Balkans invites you to join us to an amazing trip to Montenegro, a country with stunning mountains and a beautiful coast on the Adriatic Sea. Although it is one of the smallest countries in Europe, its contribution to world cultural heritage is impressive, so come and discover it with us. Some will say that the name Montenegro (“the Black Mountain”, Crna Gora in Montenegrin) was given by the seamen for whom the land seemed rugged and dark when viewed from the sea, with mountains and crags intersected with gorges rising immediately above the warm shores. Others would say that its name was bestowed by its enemies in long gone days because of the bad luck which would strike everyone trying to conquer it. The truth is that the country bears the name of those who made it a state – the Crnojevic dynasty. Along with the Petrovic dynasty, they were the founders of this small but proud country in the Mediterranean. Even though it covers only around 14,000 km² (5,400 mi²), making it one of Europe’s smallest countries, and only has a population of about 670,000 people, its contribution to world cultural heritage is impressive. Through the centuries of its rich history, Montenegro has survived many invasions which made an imprint on its cultural heritage. Christian, Muslim, Illyrian, Byzantine, Turkish and Slav civilizations merged here making Montenegro a crossroads of culture and history forever. We will be visiting the old Montenegrin capital Cetinje, where we will have a guided tour including old embassies and a relief of Montenegro made by Austro-Hungarian army officers at the beginning of the 20th century. The Austro-Hungarian influence is highly visible in this part of Montenegro. We are also staying in Ivanova Korita, a spectacular mountain resort near the peak of the Lovchen Mountain. This is where the mausoleum of the father of the Montenegrin nation, the philosopher and poet Petar Petrovich Njegosh, is situated. Kotor is located in a secluded part of the Bay of Kotor and is one of the most beautiful spots in the whole of the Adriatic. 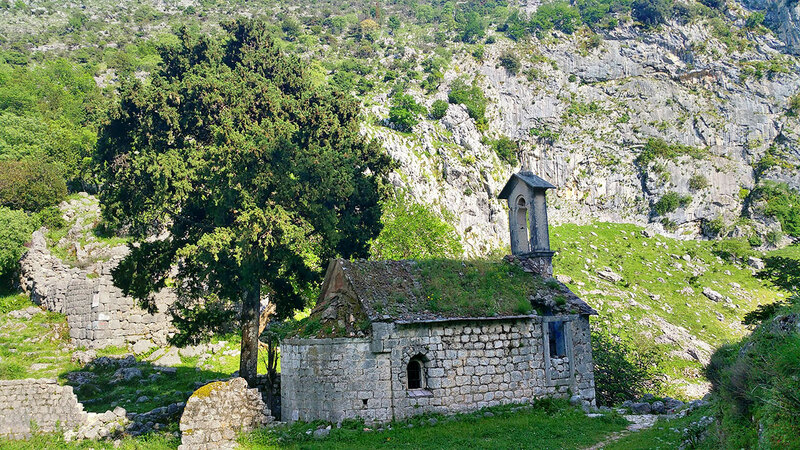 Smaller and less visited than Dubrovnik, it is a real find for those who prefer less touristy destinations. This Mediterranean port is surrounded by fortifications built during the Venetian period. Together with the overhanging limestone cliffs of the Orjen and Lovchen Mountains, Kotor and its surrounding area form an impressive and picturesque Mediterranean landscape. These cliffs will be part of our hiking expedition on our way to our final destination of Perast. Both Kotor and the surrounding Bay are recognised as a UNESCO World Heritage Site. 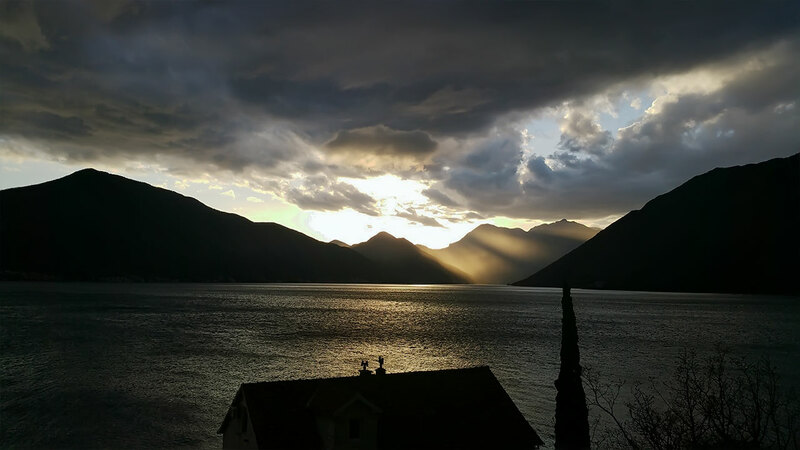 The whole town of Perast (where the main and only street is just over 2 km or a mile long) is protected by UNESCO and we will stay there for the last three nights in Montenegro with hikes through the local mountain villages on Day 6 and a visit to Kotor on Day 7. You will have time to explore Kotor and to wind down while enjoying a well-deserved coffee, ice cream or glass of beer. 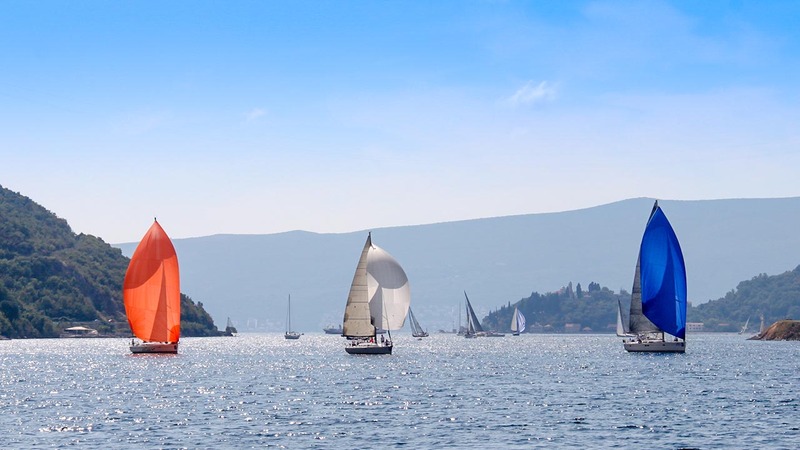 Day 1: We will arrive in Podgorica, the capital of Montenegro, and head straight to the coastal town of Bar, a historic town first mentioned in the ninth century. We will have a tour around the old town and choose a nice restaurant for our first opportunity to sample great Montenegrin food and wines. We will stay in the Kula Guest House, which has its own wine bar and restaurant. In the evening we will do a one-hour hike to the village of Bartula for a barbecue dinner in a garden planted with olive trees. Day 2: Today’s hike will be 7 km (4.3 mi) in distance but we have a steep ascent of 600 m (1,968 ft) and a long descent of 1,100 m (3,609 ft). The walk takes 5-6 hours not including stops. 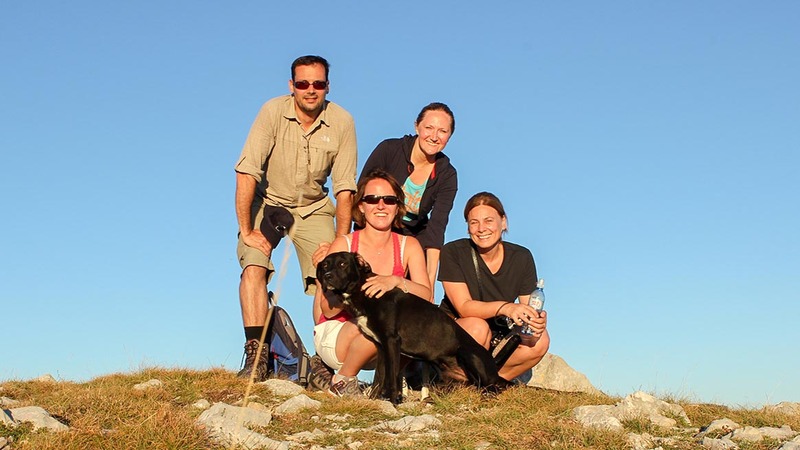 We will be led by our experienced local guide (who will accompany us throughout the trip) to the summit of the Rumiya Mountain (1,595 m / 5,233 ft) and we will see Lake Skadar as we walk down the mountain. After visiting local hosts for rakija (local brandy), we will be picked up by our minibus to go to Virpazar where we are staying at a family-owned guesthouse. Day 3: In the morning of Day 3, we will take a boat trip of around two hours in breathtaking surroundings down the river Crnojevica to get to our starting point for a hike to the old capital of Montenegro, Cetinje. After that we will start our hike, which will be 12 km (7.5 mi) long and includes a total ascent of 750 m (2,461 ft) and descent of 100 m (328 ft). The actual walking time is 4-5 hours. 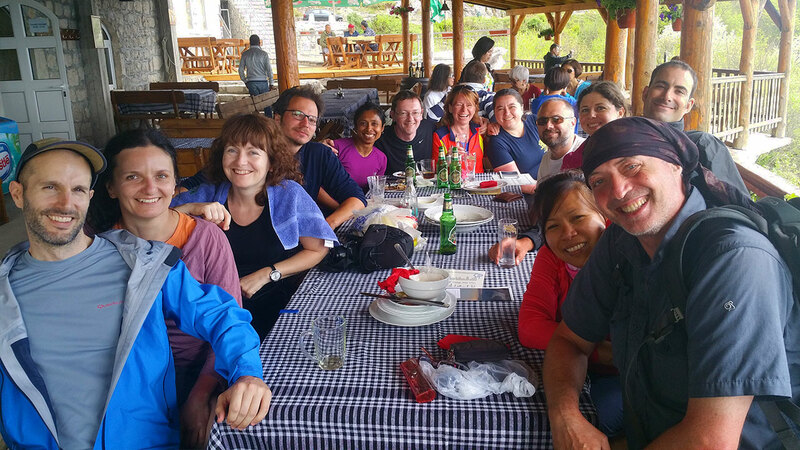 Along the way, we will stop for lunch and to admire the views from our trail before we arrive in Cetinje. From there our minibus will take us to the Monte Rosa hotel, located in the Lovchen National Park, where dinner is planned. Day 4: On Day 4 you can choose from two routes (one in the morning, one in the afternoon), but those who are really keen can do a total of 19 km (12 mi) in more than seven hours of walking to the peak of Babina Glava (1,474 m / 4,836 ft), the village of Dolovi, Jezerski Vrh (1,657 m / 5,436 ft) and the village of Mali Bostur. This will be the most challenging day for those who decide to do both the morning and the afternoon hike, but there will be plenty of opportunities to stop and try local delicacies. Our final destination of the day is Ivanova Korita, a most beautiful mountain resort near the peak of the Lovchen Mountain, which we will also be visiting. Day 5: On Day 5 we will arrive in Kotor after a descent of 1,100 m (3,609 ft) and a walk of 12 km (7.5 mi). We will have the most stunning views overlooking Kotor Bay – a great opportunity for photography. We will head to Perast where we will stay in a 17th-century family-run guesthouse. We will then have dinner in one of the many restaurants in UNESCO-protected Perast. Day 6: On Day 6 we will be doing our last hikes on this trip. First we’ll be visiting Vranovo Brdo fort en route to the seaside village of Orahovac. After a transfer to another village, we will then start a second hike of 15 km (9.3 mi) in total, ascending 300 m (984 ft) and descending 850 m (2,788 ft). We’ll be overlooking Kotor Bay again, but this time from the different perspective of the Oryen Mountain. Total walking time is five hours. Day 7: On Day 7, there is an optional boat trip from Perast to “Our Lady of the Rocks” church and afterwards (still by boat) to Kotor. We will have a guided tour of Kotor and stay there for dinner as there is plenty to see in this UNESCO-protected fortified town. Day 8: We will have an early start to allow us to catch the flight from Dubrovnik or Podgorica. This trip can start and/or end from the airports in Podgorica and/or Dubrovnik. We can adapt the itinerary according to your chosen flights. Book early to get the best price!